As published in the Collection booklet in 2001. 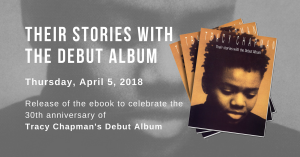 Ever since she burst upon the musical world in 1988 with her warm and magical debut album, Tracy Chapman has been one of our finest contemporary songwriters and a performer of striking originality, grace and charm. But she has also become much more than that. When you walk out of a record store with a new Tracy Chapman album, you are not merely buying a collection of finely crafted and elegantly executed songs. You are also somehow entering a better world in which-for an hour’s worth of music at least-the values of compassion, honesty and humanity are restored to their rightful place in an otherwise increasingly giddy and trivial global culture. Born and raised by her mother in Cleveland, Ohio, she began writing poetry and short stories at an early age. Tracy’s first instrument was a ukulele that her mother bought her at three years old because she recognized that she loved music, and was later stolen by the girl across the street from them. There wasn’t much money in the family but her mother saved money from the household food money to purchase it from a neighborhood store. At Tufts University in Medford, Massachusetts, she studied anthropology and honed her musical skills on the Boston folk circuit, playing guitar and singing on the streets of Harvard Square and performing at local coffeehouses and the campus folk club. By 1987, she had signed to Elektra, a label with a proud singer-songwriter history dating back to the 1960s heyday of the genre. Her self-titled debut album, produced by David Kershenbaum, was released in early 1988 and its warm, passionate and heartfelt songs announced the arrival of a compelling talent. At the time, the record was a breath of fresh air. By the late 1980s, music was dominated by synths and drum machines and the simplicity and sincerity of Chapman’s approach was hugely refreshing. The songs themselves were full of sharp observation, deeply rooted in her personal experience of growing up poor in a working-class community in the inner city. The album met with immediate critical and commercial success, but it was an appearance at the Nelson Mandela 70th-birthday tribute concert at Wembley, London, in June that year that introduced her to a mass global audience. “They didn’t have a slot for me and I was kept waiting,” she recalls. “It was just me and my acoustic guitar and I think they called me three times hoping to put me on while the next act was getting ready.” On each occasion it didn’t happen, and three times she was sent back to the dressing room and told to wait again. Her spontaneous performances, seen by millions on television around the world, was a sensation and the reaction was instant. She won so many hearts that the following week the album soared to the top of the charts in both Britain and the United States. Elektra had believed in her from the outset and hoped the album might sell 200,000 copies-a highly credible performance for a debut of basically acoustic songs. Instead, it went on to sell more that 10 million copies and win three Grammy awards. But Tracy Chapman has never been an artist whose value can be measured in statistics and chart placings. For her, the awards and accolades have always been second to the integrity of her songwriting and the emotional honesty of her voice. Drawing on the songs she had written over the previous nine years, seldom can there have been a more perfectly formed debut album. The irresistible Fast Car gave her her first hit single, a sharply observed tale of hope for a better life. It’s a powerful and moving performance, the infectious melody and jaunty rhythm juxtaposed dramatically with the seriousness ot its message about the difficulties of breaking the cycle of deprivation. Crossroads immediately went platinum, although ultimately its sales did not match the success of her first album. Yet, in retrospect, as a collection of songs it is another towering achievement-rich in the depth of its emotion and acute in its social observation. Her strongly developed social conscience is evident in Subcity, in which she gives voice to the hopes and fears of the underclass who are too often denied of their own. The title track, Crossroads, is a more personal song that deals with maintaining a sense of self. “All you folks think you run my life, say I should be willing to compromise,” she rings a voice that leaves no doubt she won’t be compromising her beliefs for anyone. The theme of the struggle to maintain integrity in a corrupt world has become a central pillar in Chapman’s work and All That You Have Is Your Soul, the third song included here from Crossroads, similarly urges us to “hunger only for a taste of justice.” The sentiments are offset by a simple but striking arrangement, which also features Neil Young, whom she had supported on tour. It was almost three years before her next album, during which time there were further appearances at concerts in London and New York for Nelson Mandela (she had written “Freedom Now” on Crossroads for him), Farm Aid benefits, and an appearance at a Martin Luther King celebration. Matters Of The Heart, her third album, appeared in May 1992. Helmed by Jimmy Iovine (a more rock-oriented producer who had worked with Tom Petty, Simple Minds and Patti Smith), it featured many of the musicians she had met on the Amnesty tour. As the title implied, Matters Of The Heart contained a greater preponderance of personal songs and several tracks appeared to deal with the loss of innocence. But it was another winning collection, represented here by Bang Bang Bang, the album’s most powerful song about the social hypocrisy regarding gun violence, and the gentle Open Arms, which contains perhaps the record’s most stricking melody. The latter includes soul legend Bobby Womack on guitar, a collaboration that was a particular thrill for Chapman. “I grew up listening to soul music and I was always drawn to songs that had a social commentary-like the music of Stevie Wonder, Harold Melvin & The Bluenotes, Marvin Gaye and Bobby Womack,” she says. After a sabbatical, her fourth album, New Beginning, was released at the end of 1995. Co-produced by Chapman and Don Gehman, it was to rival her debut in terms of commercial success, selling within a year three million copies in America alone. It was also her most mature collection of songs to date, characterized by subtle arrangements that emphasized the immediacy of the melodies and the depth of her lyrical emotion. New Beginning took as its themes change, growth and renewal. It was also a record imbued with healthy doses of idealism and hope. “We’re at a place right now, approaching the new century, where we could find new solutions to old problems,” Chapman declared optimistically at the time of the album’s release. Four tracks are included here. The Promise is a song of gentle longing with a lovely string part counterpoised against her own delicate acoustic guitar. I’m Ready has an almost mantra-like quality that reflects the song’s spiritual themes of yearning and redemption. Smoke and Ashes is more up-tempo, with one of her most sensual vocals and a stirringly soulful chorus. But it was the bluesy Give Me One Reason that was to prove the album’s biggest hit single. She would later perform it at the 1997 Grammy awards with veteran bluesman Junior Wells on harmonica. There was to be more than a four-year gap before her next album, but Chapman was not idle. She joined the Lilith Fair tour, played Tibetan Freedom Concerts, participated in a Bob Marley tribute in Jamaica and even performed at the White House in a benefit concert for the Special Olympics. Finally, her fifth album, Telling Stories, followed early in 2000. It was more than worth the wait. A subtle and lyrically complex collection of songs that reached new heights of poetic expression, the album found her reunited with producer David Kershenbaum for the first time in more than a decade. Most of the songs appeared to have a loose theme. “They touch on different perceptions of reality-how we define, change, manipulate and corrupt it,” she explained on the album’s release. The driving title track, Telling Stories, has a memorable melodyand deals with the complexities of truth and its many different layers. The selections from the album included here are completed by Speak The Word, an elegant ode to the power of love, and the entrancing Wedding Song, with its striking imagery and haunting vocal. 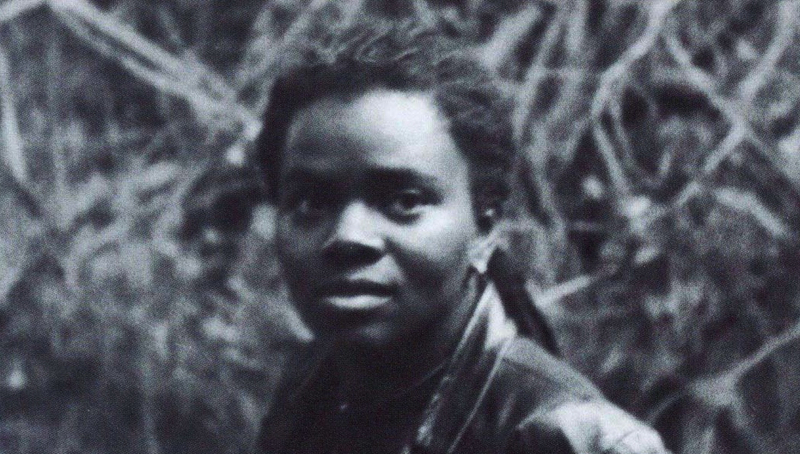 Of course, a single album is hardly sufficient to contain all of the best songs of Tracy Chapman. Think of this rather as a collection that seeks to represent the best qualities of her songwriting-fearless insight, compelling social relevance, keen intelligence, emotional resonance and lyrical compassion. In these songs, you might say, all that we have is her soul. And that is a very precious gift, indeed.